Things are about to get exciting at the Oracle Arena!! 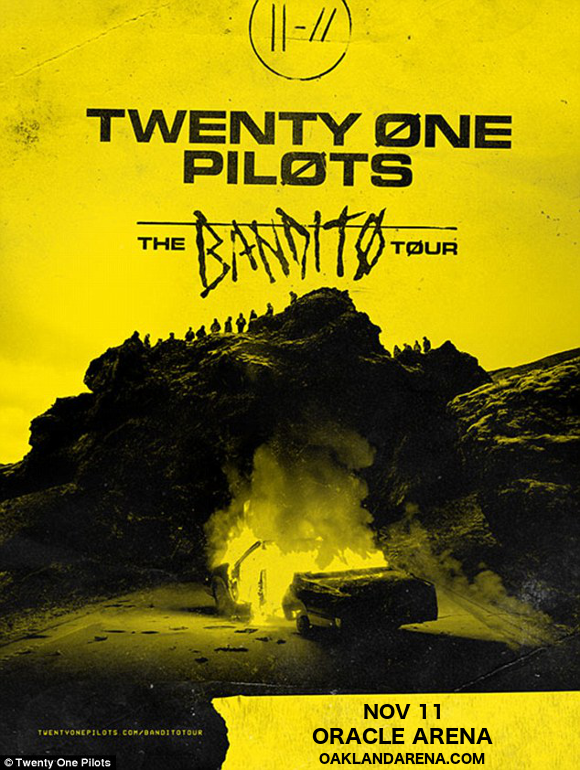 The wait is over for fans of Twenty One Pilots, eagerly anticipating the follow-up to their phenomenal album “Blurryface” – the new album is out on October 5th, and the band heading to Oakland on Sunday 11th November 2018! This exciting will leave you speechless, so don't delay – book now! Click the Buy Tickets button to get yours today. Get ready to experience it all live – grab your tickets today! !